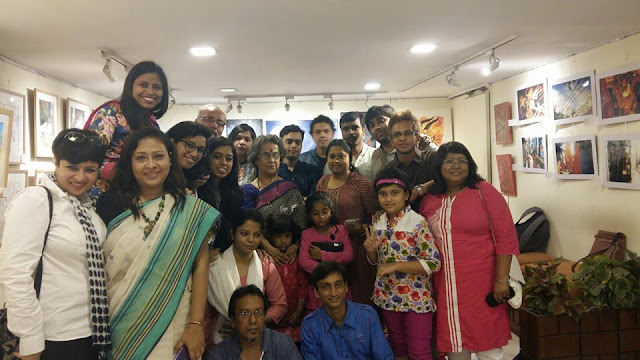 Kolkata is a city where the creative penchant is loved and supported by everyone. Stories has travelled through generations of reading culture and survived in our crumbling world because of its power of imagination and creativity. This power to create change in our society by changing our thoughts and ideas leading us towards a tolerant world is in the hands of writers. Kolkata has seen this imaginative creativity evolving by the support of book lovers who have kept the passion of reading and passing the joy of reading a good story alive. 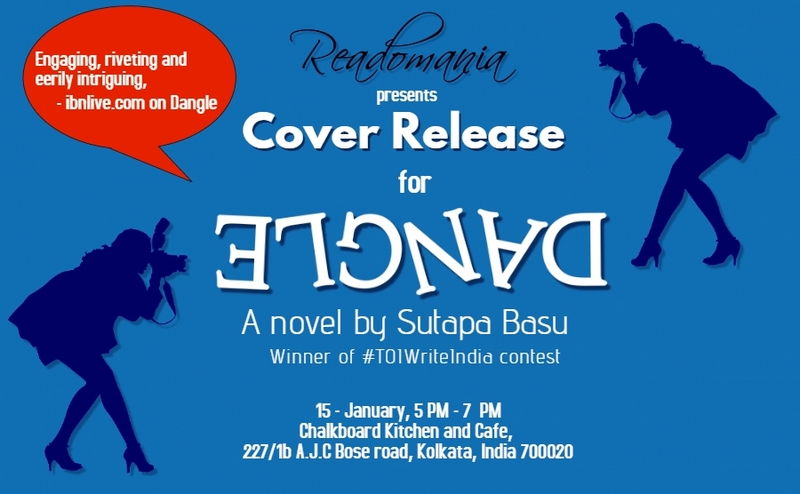 One such author, Sutapa Basu, winner of TOI Write India contest is coming down to our city of book lovers to take the initial step of her beautiful novel” Dangle” cover being revealed on 15th Jan in Chalkboard Kitchen and Café 5pm amidst the warmth of imagination and curiosity. 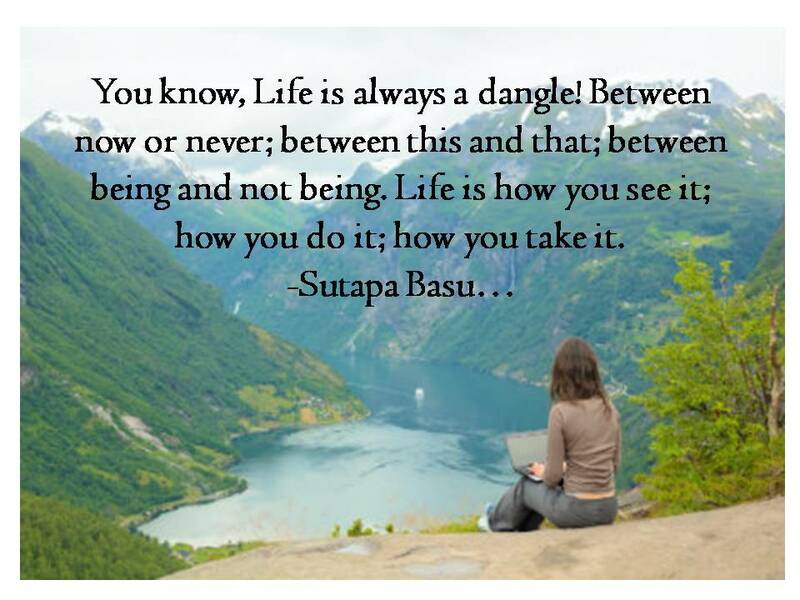 We believe we deserve to be a part of her journey and know what is “Dangle” all about? Surrounded by well wishers and book lovers, Sutapa will be revealing the joy of writing this story, the idea of “Urban women being emancipated or not” followed by dance and poetry performances. We wish your participation in our journey to take it further when we will be able to read her book after its release soon. We are excited to share our interview with her and let you get inspired to read her book when it is released soon. 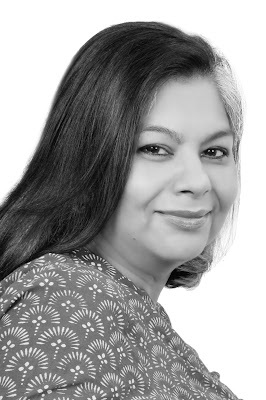 Sufia: How excited are you about the cover revealing in Kolkata? Sutapa: I am very excited. This book is my dream coming to life. 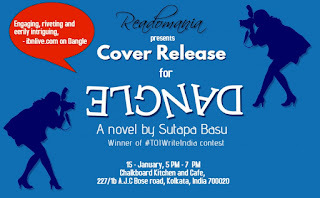 Sufia: Your protagonist in your novel shares a bengali culture and now the cover reveal is in kolkata...what is the relation and how you feel about it? Sutapa: My protagonist is pravasi Bengali and demystifies many concepts that the typical Kolkata Bong has about them. Its time the two met, I think. Sufia: Tell us something about your experience of Write india contest...how did it feel to meet Amish and receive the honour? Sutapa: Oh WriteIndia was totally unexpected! I certainly did not expect my story to win when the entire nation was writing. Amish is charming. He wears his mantle of fame so lightly. 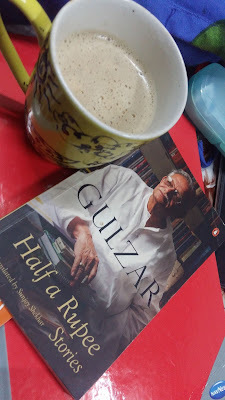 He specially requested me to meet him over coffee a day before the award ceremony because he wanted to meet the author of the story that made him cry (His words). It was a wonderful meeting and we spoke a lot about his journey as a writer and my expectations from writing as well. It was such a easy, comfortable chat. I am completely bowled over by Amish. Sufia: When do we get to read the book? Sutapa: Dangle will be released on 20th January 2016. It happens to be my birthday and this is the best birthday gift I have receieved in all my 59 years. 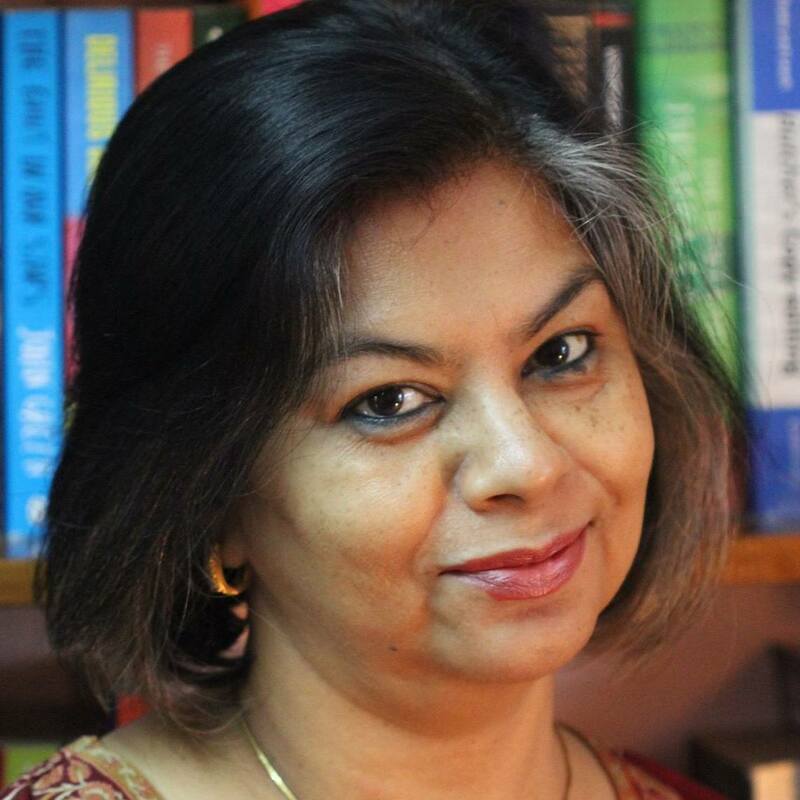 Sufia: Is women emancipation the subject of the book? Your own take on women emancipation and What you think about Urban women at large? Sutapa: Well yes but not in the traditional way. I think the emancipated urban woman is troubled by a lot of pressures which could become extremely traumatic. I believe that a truely emancipated woman will have the strength within her to overcome those traumas. Sufia: Is this book about her search? Sutapa: Yes it is indeed. Sufia: When did your journey with writing start? What do you enjoy about it? Sutapa: My journey started when I was about 8 years old but I have seriously started writing only in the last 2 years. Before that my writing was sporadic. I enjoy weaving a story and while I put down what I hear inside me, I am totally obsessed with it. Sufia: Your message for writers and an appeal for friends? Sutapa: My message for writers is: if you have a story, write it. Dont worry about who will read it. And my appeal to friends: Read, read, read and encourage your children to read. Open for them the world of books, hold and let them travel in them.